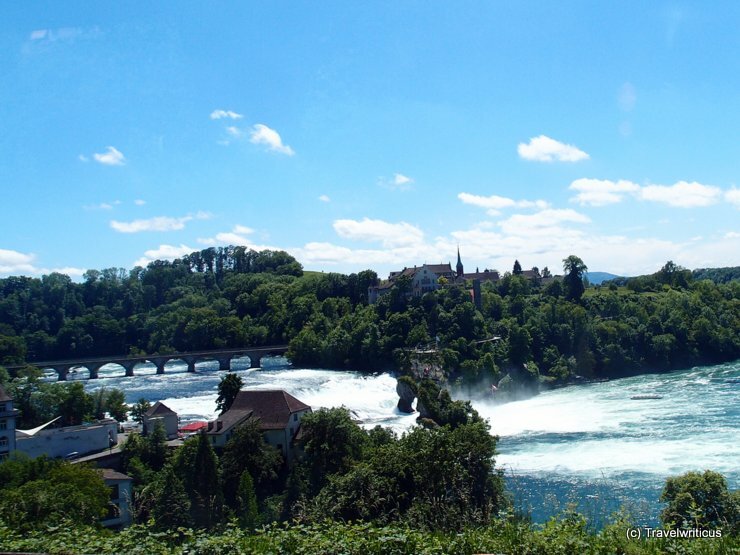 Near Schaffhausen, there is a vast waterfall called the Rhine Falls (Rheinfall). The view above, one can have using the Eglisau-Neuhausen Railway Line. Another chance to see this waterfall by train is taking the railroad Winterthur-Schaffhausen (Rheinfallbahn) which is crossing the Rhine via that bridge on the left. This entry was posted in Railviews and tagged Switzerland by Travelwriticus. Bookmark the permalink.